I don’t have one and I think if I did I would feel a little unfair. Like did I have a favourite book growing up or do I favour one child over the other? I would have to say no. I like some more than others but that’s it. As for the writing mentors I’ve tried this but the 2 so far weren’t as focused so quickly we fell out of simpatico. her works as it was of a time and space I didn’t recognise but this woman worked at her writing. Every day from 9-5 she would be in her office writing. It was the first time that I ever conceived writing as an actual job. She was disciplined, something I still struggle with today and there was an order to her that made you realise that there was a lot of strength and passion in this petite woman. I learned how to write as work. 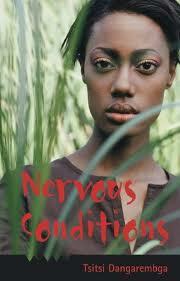 Then I met Tsitsi Dangerembga a Zimbabwean author of Nervous Conditions the book I wrote my dissertation on. Her life as an African girl who had lived in the UK then moved back to Africa mirrored mine and I met her in London as she was promoting a film. It wasn’t the meeting of spirits I hoped for but I realised that some writers aren’t necessarily comfortable with their gushing readers. She was one of them. And yes, when inspired I can gush with the best of them. I learned that how one writes and how one is in real life aren’t always the same but people will assume. Oxford. Yes for a woman who doesn’t leave zone 2 without a lot of bribing I managed to score a ticket to the event where India Knight was interviewing her. I love her honesty as a writer although you can see that there was so much left unsaid in those books. I met her afterwards and realised that everyone has a story and a voice and that to write is a means of expressing a lot of emotions that many people keep repressed.